Boost and regenerate dull skin with the Copaiba Deep Cleanse AHA Mask from Pai. Enriched with highly concentrated alpha hydroxy acids (AHA) which work to deeply cleanse and invigorate skin to unblock pores. This radiance-enhancing face mask improves skin tone and texture so you can experience smooth, soft and supple skin that is full of moisture. E.N. 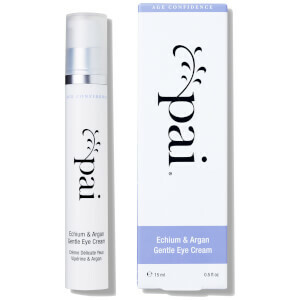 Experts on sensitive skin, Pai products are formulated with sensitive and allergy-prone skin in mind, making sure only the finest ingredients are used. All products are free from irritating chemicals and alcohol and are certified by the Soil Association. Directions for use: Apply to cleansed skin and leave for 5-10 minutes. Wipe off with a damp cloth.